I know I was planning on doing a list, but the topic changed so often I didn’t get time to properly research everything. I’ll save it for next week, barring other incidents. And my life tends to be full of incidents, although I’ve seen worse by other creators I follow. At any rate, let’s talk Jurassic Park sequels again. 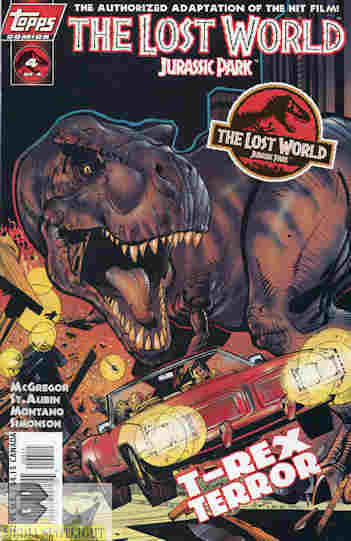 Because between Jurassic Park III and Jurassic World there was a fourth Park movie prepared. What was it about, why wasn’t it made, and were we better off without it? ScreenCrush’s Matt Singer has the answers to those questions. Enjoy. Am I the only one who didn’t get all hyped at “Von Drax”‘s name? Must be the shows I grew up with; it’s pretty tame by those standards. Catch more of ScreenCrush’s videos on their YouTube channel and their articles on their regular website. Posted by ShadowWing Tronix on June 28, 2018 in Movie Spotlight and tagged Jurassic Park (film).